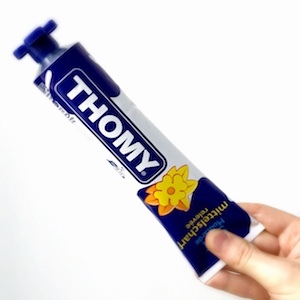 The delicious Thomy Mustard straight from Switzerland! It contains 200 grams in the tube. It matches perfectly with meat, sausage, etc.